You want the best for your family, so when your orthodontist recommended that your teenager start treatment, you scheduled the appointment. Now that your teen has braces, though, things aren’t all sunshine and rainbows. After all that investment, what do you do when your teen hates their braces? How do you help them tough it out? Do you remember what it’s like to be a teenager? Life is hard when you’re stuck between grownup-level responsibilities and child-level freedom, plus social pressures that seem way more important, and the added stress of hormones on top of everything. Your teen might seem like they’re just being whiny, but she or he might also just be overwhelmed. 1: Get to the bottom of the problem. Sometimes, braces hurt. We all have different thresholds for pain tolerance, and as teeth move, things like wires and brackets can cause discomfort. Pain might not be the problem, though. 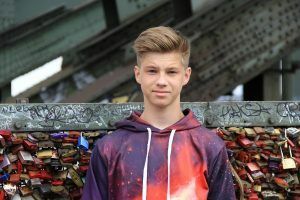 Social embarrassment sometimes hurts more than the actual adjustment process, and your teen may be reluctant to confess that this is their real concern. Talk openly and honestly, and be willing to listen – without interrupting – to all of his or her complaints. Letting your teen talk it out is sometimes enough to help them accept their braces as a temporary inconvenience. 2: Ask what they’d like to do about it. As much as it seems like teenagers are illogical, emotionally unstable creatures, they still listen to reason sometimes. Like all people, teens appreciate it when someone truly listens to them. We all have a tendency to tune out our family members, especially children, so make a conscious effort to tune in. Asking what your teen proposes as a solution doesn’t mean you have to do what they request. You might be surprised at how reasonable their solution is, though. They might just demand that their braces be removed – which probably isn’t the best option – but they also might tell you that a minor change will be enough to solve the problem. 3: Address the problem appropriately. If your teen is especially sensitive to soreness, the solution may be as simple as some over-the-counter pain relievers, some wax to help with poking wires, and a little time to cope. For pain-related issues, adjusting more slowly may also be an option – just remember that there has to be some pressure for teeth to move, and explain to your teen that trying to reduce the pressure will also prolong the process. They might prefer to just tough it out. The discomfort associated with braces is mostly temporary. Callouses form, aching lessens, and the pain becomes far more manageable over time. Social and emotional discomfort may be a little trickier to address. If you feel it’s appropriate, you can also consider alternatives like Invisalign to straighten teeth without brackets, or lingual braces that are applied to the backs of teeth. Lend some perspective and remind your teen that they don’t have to wear braces forever, but with proper care, their teeth will be far more attractive and healthy for many, many years to come. Nobody knows your teen like you do, so your judgement is best. Consult your family orthodontist if you need help – that’s what they’re there for! And, when it gets tough, just remind your teen (and yourself) that this, too, shall pass.